Here's where to watch every episode of Road to Avonlea season 7. Mouseover or tap an episode to see where to stream it. Click or tap the play icon to stream it on the best available service. Out of the Ashes Jan 14, 1996 Felicity continues to mourn a year after she learns that Gus' ship was lost at sea. While attending a town meeting, she is maneuvered into excepting a position on a committee to assess the old Lloyd mansion. Upon examining the house, the committee discovers four orphans living there. Stuart McRae, a new banker, supports Felicity's idea that the house should be converted into a fondling home. The project, along with Stuart's affections, promises to help Felicity get over her loss of Gus. Love May Be Blind... But the Neighbours Ain't Jan 14, 1996 The Dominion Day picnic finds Felix in jeopardy of losing Izzy's friendship and Jasper trying to tell Olivia he has been offered a teaching position in England. The boys in town are all making eyes at Hannah Hubble while the girls look on with growing irritaion. Davey and the Mermaid Jan 21, 1996 Davy sees a 'mermaid' in a traveling show and is smitten. He has his head full of dreams and fantasies. Rachel is improving since her stroke and is learning to enjoy the ""little things"" in life. The traveling show tries to swindle the town out of it's share of profits; but Davy discovers what is going on and puts a stop to it. Woman of Importance Jan 28, 1996 Izzy is at loose ends. Felix has betrayed her, and her father is involved with his new bride. After writing to her mother's sister, Izzy is surprised when her aunt arrives in Avonlea. The woman dazzles Izzy with tales of her glamourous life, and Izzy decides to return to Boston with her Aunt Lillian. Lillian is exposed as a woman in financial ruin, and Felix makes a heartfelt plea to Izzy to stay in Avonlea with him. As home and love are strong ties, Izzy decides to stay in Avonlea. Ah... Sweet Mystery of Life Feb 11, 1996 Just as Simon Tremayne receives an offer to buy out the White Sands hotel by a buyer who wants to modernize it, Hetty learns that the school is to be closed down and its students sent to school in Carmody. Her devastation is tempered by her blossoming romance with Simon; she soon accepts his proposal of marriage. 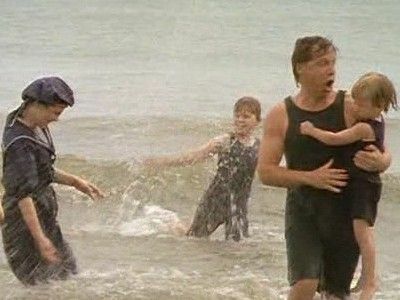 However, pressure on both of them to fight off the idea of losing their respective jobs (Hetty calls for a comparative test between the students of Avonlea Public School and those of the Carmody School) makes them realize that, though they may love each other, they are too career-oriented to be married to one another. King of the Great White Way Feb 18, 1996 When a famous song writing team come to the White Sands hotel; Hetty wants no part of them until she learns that they are ""intimates of the King o England"". They are to be the stars of her musical at the hotel. When Felix tries to interest them in Uncle Jaspers ""recording device"" they are more impressed with Alec's singing than they are the electronics. Alec has a chance to go to sing on Broadway or remain in Avlonlea. Total Eclipse Feb 25, 1996 The adults are away from King Farm when a solar eclipse is to take place. Cecily accidentally destroys money meant for charity and must replace it. Felix comes up with the scheme of renting out the farm house as a hotel; to replace the money and to show Simon Tremayne that he would make a good assistant manager at the hotel. Jasper's cousin Selina becomes infatuated with one of the guests, an Italian professor. When Janet arrives home, the place is in chaos. 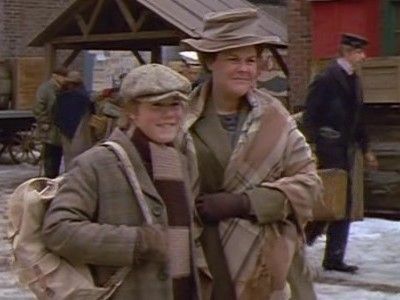 From Away Mar 3, 1996 Two orphaned brothers arrive at the Avonlea Foundling Home and bring trouble and strife with them. They are looking for their big brother,Jim, who arrived in Canada before they did. They steal money from Hetty, cause mischief in town and make trouble for Davy. Davy ""borrows"" money from Hetty and takes the boys on a train ride to Halifax to find their brother. Hetty takes Davy to task for his actions; but he has learned a valuable lesson. and we see that Davy is finally growing up. 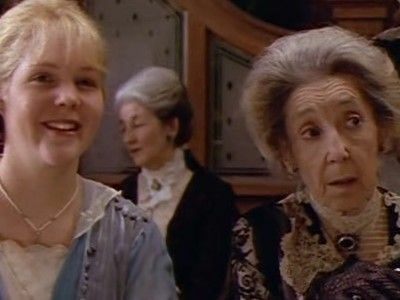 After the Ball Is Over Mar 10, 1996 Great Aunt Eliza is about to turn 90 years old and Janet and Abigail plan a party to celebrate. Cousin Winifred, arrives and stirs up old sorrows for Eliza. They once both loved the same young man. Winifred finally reveals to Eliza the true state of the young man's heart. Eliza and Winifred make their peace with each other. 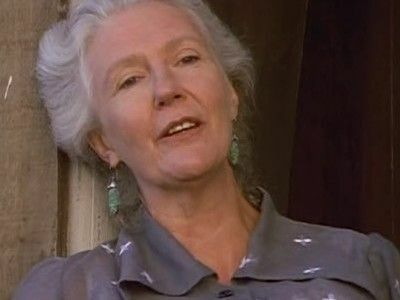 Return to Me Mar 17, 1996 A mysterious telephone call to the King Farm leads Felicity King, mere days before her wedding to Stuart McCrae, and Hetty King in search of Gus Pike, who had been reported drowned at sea. After a long trip to South Carolina and running into several dead end leads, Felicity and Hetty find Gus had survived the ship wreck...however, Gus has lost his sight in the accident! Now it is up to Felicity and Hetty to convince Gus to return home to Avonlea...and Felicity has some hard choices herself to make. Will she honour her engagement to Stuart, a kind and gentle man, whom she does not love...or will she return to the arms of the boy, now man, that has always held her heart, Gus Pike? The Last Hurrah Mar 24, 1996 Jasper returns from England to find that Olivia has taken in Lottie, a young woman recently fired from the Carmody cannery, and her baby. 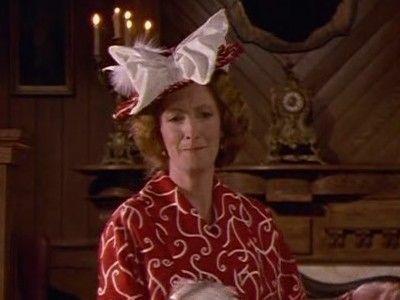 Meanwhile, Eulalie Bugle and Archie Gillis are campaigning for Avonlea to amalgamate with Carmody, a situation that Alec, Bert Potts, and Stuart fight vigorously with a counter-campaign. An emotional address by Jasper seals a victory for the anti-amalgamation activists, but their luck soon changes when the Dale Cannery is struck by lightning and burns to the ground. Faced with no job, Lottie leaves her baby with the Dales and disappears. 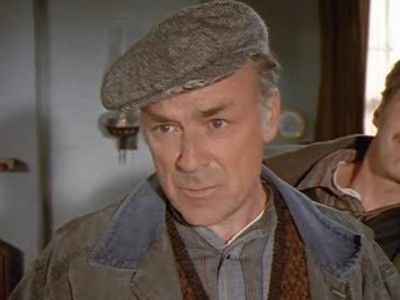 So Dear to My Heart Mar 31, 1996 Gus' return to Avonlea stuns the King Family and forces Felicity to make a decision between her childhood sweetheart, Gus and the kindly banker, Stuart. In the meantime, Jasper and Olivia have decided to leave Avonlea, after the disastrous Dale Cannery fire and Hetty is furious. 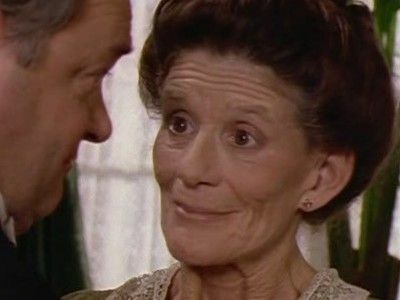 Felix makes a decision that stuns his family, especially his mother Janet, and a certain familiar character makes her prodigal return to Avonlea for Felicity's wedding day.